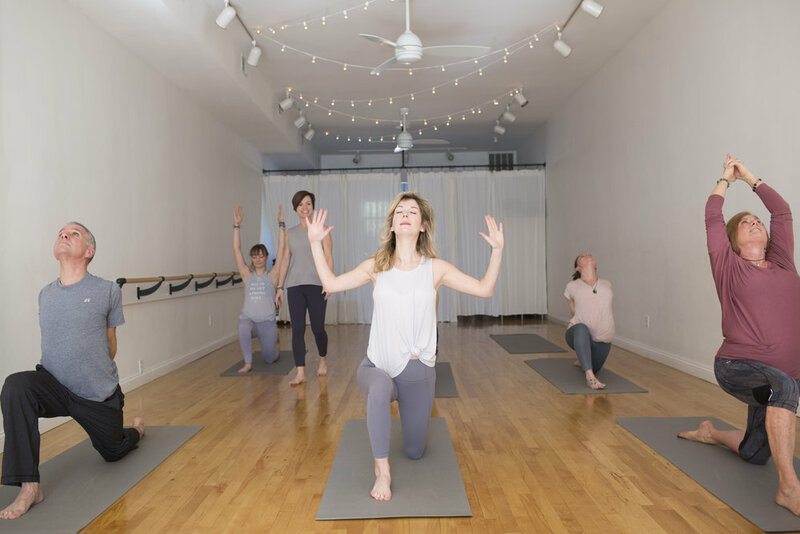 Worthy is a faith-based yoga practice located in the Mariemont community, just a few miles East of downtown Cincinnati. The physical postures, or asanas of yoga, combined with breath work, strengthen the body and enhance flexibility, while emphasizing the opening of our hearts to divine love. Worthy focuses on the love of, faith in, and surrender to, the Holy Trinity: The Father, Son, and Holy Spirit. What makes Worthy unique is the influence of scriptures and the constant invitation to encourage the Spirit to guide our practice and focus our intention. We welcome and respect people of all faiths and denominations, though we are Christ-centered, we are still fully devoted to the practice of yoga. Our studio was designed to be simple and welcoming. We strive for a distraction free, yet intimate and open environment. The bright walls, open space, and overflow of natural light was intended to mimic the way you feel when you come to your mat: heart open, ready for the Light of the World to meet you wherever you are. You may notice we are a mirror-free studio. Our desire is for you to feel the pose, not see the pose. Our hope is that once you’ve finished your practice, you feel encouraged to stick around and enjoy our community.